Gauss called the Law of Quadratic Reciprocity the golden theorem of number theory because, when it is in hand, the study of quadratic residues and non-residues can be pursued to a significantly deeper level. We have already seen some examples of how useful the LQR can be in answering questions about specific residues or non-residues. 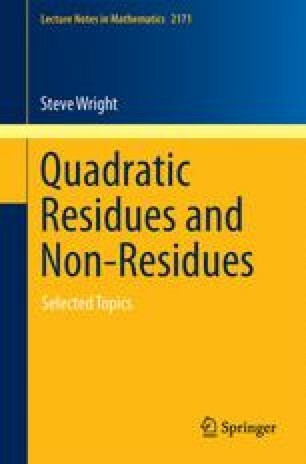 In this chapter, we will study four applications of the LQR which illustrate how it can be used to shed further light on interesting properties of residues and non-residues.